Installed Hygrade Carb Kit - Jeep FC-150 Forward Control by Willys Motors Inc. 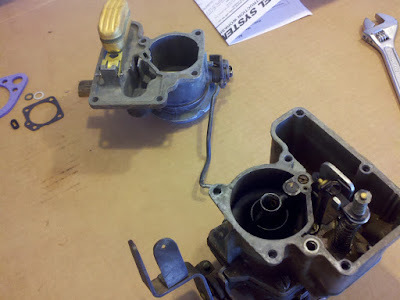 Removed carburetor and throttle body. Cleaned and replaced worn parts. Discovered a few parts missing. Runs better than before. No hesitation. Need to get on the road for test drive!